Author: Hoffman, Mary Set In . . .
During the day, Lucien battles cancer in his modern, normal life. But at night, he becomes a Stravagante, a time-traveler of sorts who finds himself in Belleza, a city parallel to old Venice. Befriended by a local girl and protected by an older Stravagante, Lucien uncovers a plot to murder the city's beloved ruler, the Duchessa. But to save the Duchessa and the city Lucien risks losing his only chance to return home to his family and his real life. The well-paced, thick-with-plot story will hook the reader immediately and not let go until the superb, unexpected end. 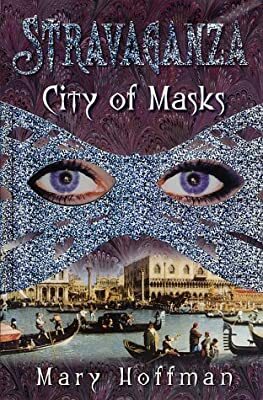 City of Masks is the first in a three-book arc from the gifted Mary Hoffman.